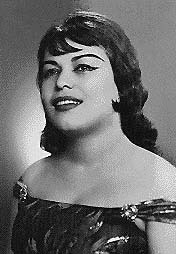 Parivash was the Queen of "Koocheh Baazaari" music in Iran in the 1950s and 1960s. Her lusty style and explicit lyrics were provocative even in days when expressions of sexuality were much more open and nightclubs operated in major cities. * Do taa limoo daaram, meekhari?